Black Dahlia created the Holo Metals collection with the Holidays in mind. 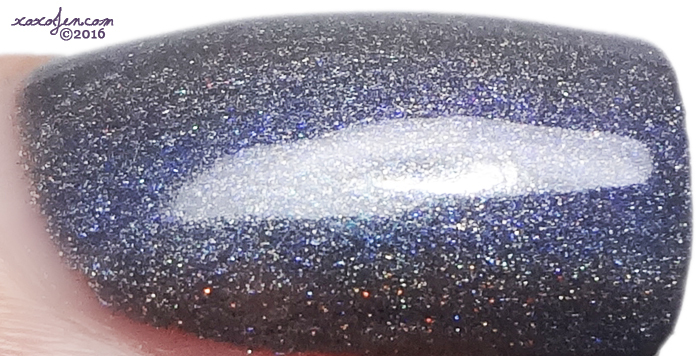 Each polish is holo and contain shifting shimmer. Brass Tulip is a vibrant antique gold-leaning beige multichrome holo that shifts from red to orange and gold. 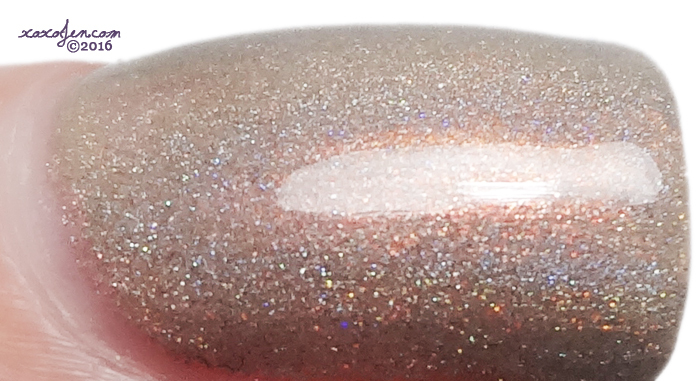 Iron Lotus is a medium gray multichrome holo that shifts from blue to violet to red and jade green. Steel Magnolia has the most apparent shift, while the other two are more subtle, but definitely present. The formula is excellent for each. I used two coats for each photo; however the two darker shades would be one coaters when applied evenly. I really enjoyed wearing each of these, the way they shift is quite pleasing. Have you ever ordered from Black Dahlia? If not, you definitely should! 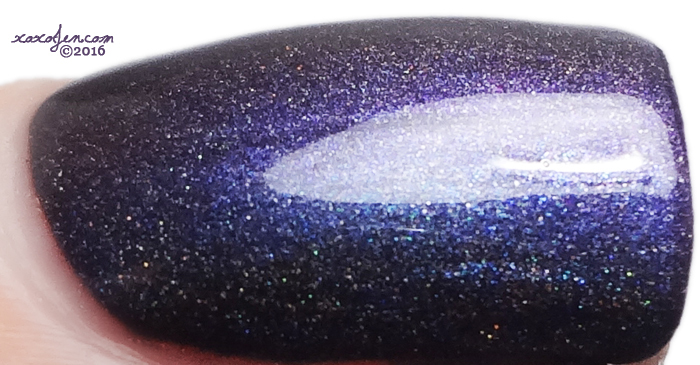 These are available right now along with many other pretty polishes.